Commercials Banks have a vital role in the foreign trade of a country. They provide the finance needed to execute the transactions. They from the conduit pipe through which the documents and money are exchanged between the exporter and importer. They act as the extended arm of the Bangladesh Bank in administering the provisions of the Foreign Exchange Regulation Act. For the banks foreign exchange dealing is a specialized activity with good potential for profits. Foreign Exchange is a highly specialized business and is, therefore, concentrated in selected branches of the bank. In most banks, the decision-making is done at the corporate level. The Foreign Exchange Department, also called the International Banking Division or International Division, is headed by a senior executive of the bank. An in depth knowledge of the rules and regulations of foreign exchange business in particular and banking in general and high level of awareness of the happenings in the international economic and political arena is expected from the Executive heading the department. Since foreign exchange business requires quick decisions, the Executive is vested with enough powers to take decisions on most of the situations that would arise in the dealings of the bank. Matters involving very large amounts and those beyond the discretionary powers of the Executive are referred to the Chief Executive of the Bank or its Board of Directors. While policy decisions are taken and foreign exchange resources are managed at the corporate level, the actual dealing with the customers takes place at select branches of the bank authorized to deal in foreign exchange. Such branches are mostly concentrated in metropolitan cities and other places where either import or export trade predominated or inflow of foreign remittances is expected to be high. These branches can, however, function only within the guidelines prescribed by the head office, from time to time. There may also be an intermediary tier at the Zonal or Regional level. In order to decentralize decision-making and reduce the problem of communication from head office to branches spread over the length and breadth of the country, special Department or Cells have been set up at these levels. They perform some of the functions like advising branches on the exchange rate to be quoted to customers, maintenance of foreign exchange balances abroad etc. Banks have also set up at select metropolitan centers special branches dealing exclusively in foreign exchange, designated as Overseas Branches. Besides dealing directly with customers engaged in foreign trade, they also take on the role of special foreign exchange cells at national Zonal levels. The Foreign Exchange Department at the Central/Zonal office or the overseas branch is divided into-well defined sections, each undertaking a specialized activity. Each section is further sub-divided into sub-sections or desks rendering specific tasks. There is no uniformity among banks either in the allocation of the tasks or in the designations of the officers manning the sections and sub-sections. Yet, an attempt is made below to delineate the important functions performed by the foreign exchange department of a bank. The functions are only briefly touched upon as they are elaborated in the lectures that follow. The importance of international trade in the economy of a country is too well known to need emphasis. A number of advantages flow from international trade. Many developing nations of the world owe their hopes of development on it. A common man, who is not keenly interested in these developments, is still reaping its fruits when he is using many items of common use. A large number of these items are either imported or some components of them are imported. Even if an item is indigenously produced, it may be found that it is made on a machine, which is Imported. Taka will not serve their purpose because Bangaldeshi taka cannot be used as currency in the USA. On the other hand, the importers in Bangladesh have their savings and borrowings in Bangladesh in taka. Thus the exporter requires payment in the currency of the exporter’s country whereas the importer can pay only in the currency of the importer’s country. A need, therefore, arises for conversion of the currency of the importer’s country into that of the exporter’s country. The rate of exchange for a currency is known from the quotation in the foreign exchange market. The banks operating at a financial center, and dealing in foreign exchange, constitute the foreign exchange market. As in any commodity or stock market, the rates in the foreign exchange market are determined by the interaction of the forces of demand for and supply of the commodity dealt in, viz, foreign exchange. Since the demand and supply are affected by a number of factors, both fundamental and transitory, the rates keep on changing frequently, and violently too. Thus, foreign exchange includes foreign currency balances kept abroad and instruments payable in foreign currency. Balance of Payments is a record of the value of all transactions between residents of a country with outsiders. It constitutes the result of demand for and supply of foreign exchange for various purposes. Since the rate of exchange between currencies is determined factor in determining the exchange rates. A change in the balance of payments of a country will affect the exchange rate of its currency. It is useful to make a distinction between balance of trade and balance of payments. Balance of trade refers to the net difference between the value of export and import of commodities from/into a country. The movement of goods or commodities between countries is known as the ‘visible trade’. Therefore, balance of trade refers to the net balance of the visible trade of the country. When a country exports commodities it gains foreign exchange. When it imports it has to pay in foreign exchange, or it loses foreign exchange. Therefore, it is traditional to indicate exports as plus(+) and imports as minus (-) in the balance of trade. When the exports of goods exceed imports there is a net gain of foreign exchange to the country and the balance of trade is said to be ‘favourable’ or ‘surplus’ or ‘positive’. If the imports of goods exceed exports, it results in net payment by the country of foreign exchange to other countries from its reserves. The balance of trade in such a case is said to be ‘unfavourable’ or ‘deficit’ or ‘negative’. Since imports and exports of a country seldom equal, the balance of trade will not ordinarily balance. During any given period, the balance of trade will show either a favourable or an unfavourable balance. Foreign trade, in its broad sense, includes not only visible trade involving import and export of commodities, but invisible items also. These ‘invisible’ items include shipping, banking, tourist traffic, insurance, gifts, interest on investments etc. The shipping, banking and insurance companies of the country render service to other countries for which they receive remuneration. Entrepreneurs setting up business enterprises abroad and supplying services earn profits and salaries. Tourism is another source of foreign exchange when tourists from abroad spend money in the country. Similarly, when all these facilities and services are enjoyed by the resident of the county, it entails outflow of foreign exchange from the country. The balance arrives at taking into account both the visible and invisible items in foreign trade is known as the ‘balance of payments’. In other words, balance of payments refers to all payments that take place into and from the country. Thus, balance of payments is more comprehensive than balance of trade. 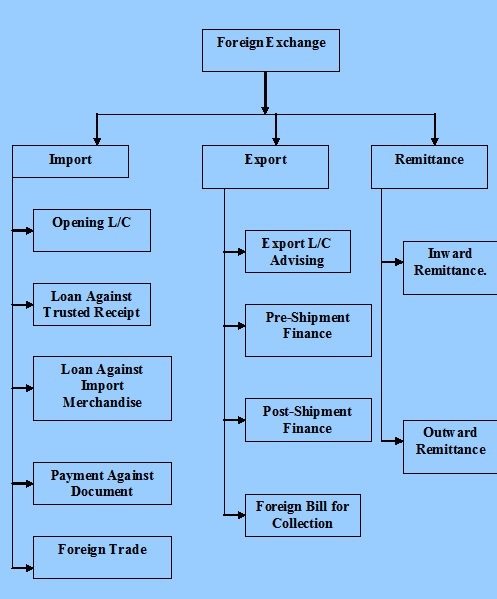 Balance of payments includes balance of trade and other invisible items of foreign trade. As in the case of balance of trade, the total amounts payable and receivable do not equal and the balance of payments for a given period ends up in favourable (surplus) or unfavourable (deficit) balance. It may be noted that a country with a deficit in balance of trade need not necessarily have deficit in balance of payments or vice versa. The deficit in balance of trade may be more than offset by surplus in the invisible trade, resulting in surplus of balance of payments. Even before the Second World War ended, the Allied countries began to devote serious thought and efforts in developing a system that would end the chaotic conditions prevailing and pave the way for an orderly conduct of international trade and promote good monetary relations among the countries. They worked with the objectives of finding a system which would (a) help remove the restrictions on trade, (b) ensure free convertibility of currencies (which was suspended during the inter-war period due to multitude of exchange control) and maintain stability in exchange rates among the currencies. In these efforts the USA (represented by Mr. H.D. White) and UK (represented by Lord Keynes) had a greater role to play. In June 1944, representative of 44 Allied powers met at Brettonwoods, New Hampshire, USA, to give concrete shape to their ideas. The agreement reached at this meeting provided for establishing two institutions which came to be know as the ‘Brettonwoods twins,. The institutions set up were the International Monetary Fund (IMF) and the International Bank for Reconstruction and Development (World Bank). To promote international monetary co-operation through a permanent in situation, which provides the machinery for consultation and collaboration on international monetary Fund (IMF) and the International Bank for Reconstruction and Developmet (World Bank). To facilitate the expansion and balanced growth of international trade and to contribute thereby to the promotion and maintenance of high levels of employment and real income and to the development of the productive resources of all members as primary objectives of economic policy. To promote exchange stability, to maintain orderly exchange arrangement among members, and to avoid competitive exchange depreciation. To give confidence to members by making the general resources of the Fund temporarily available to them under adequate safeguards thus providing them with opportunity to correct maladjustments in their balance of payments without resorting to measures destructive to national or international prosperity. In accordance with the above, to shorten the duration and lessen the degree of disequilibrium in the international balance of payments of members. Also known as World Bank, the IBRD is an offshoot of the Brettonwoods Conference of 1944. Its main function is to provide long-term capital assistance to the World Bank concentrated on reconstruction of the war shattered European economies. Later the Bank shifted its focus and ‘Development’ of the backward for lending for development, the world’s capital markets for investment in the developing countries. To promote the long-range growth of international trade and the maintenance of equilibrium in the balance of payments of members by encouraging international investment for the development of the productive resources of members. The bank has adopted as its principal objective lending for productive projects, which will lead to economic growth in its less development member – countries.